It is with heartbreaking and overwhelming sadness that we announce the unexpected passing of our dear husband, father, grandfather, great-grandfather, and great-great-grandfather, Gerry Shott. He was taken from us suddenly in a senseless accident, leaving his family in a devastating state of shock. After being in a coma for 12 hours, he passed away at 3:30 a.m. on February 4, 2019. 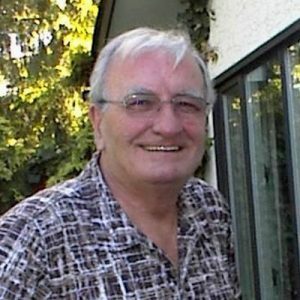 Gerry will be lovingly remembered and greatly missed by his devoted wife, Suzanne; his beloved daughters, Janice (Steve) MacCharles, Deborah Roseleine, and Kimberly Rougeau; cherished grandchildren, Jacqueline, Renee, Chantal, Joshua, Nicole, Brent, and Peter; great-grandchildren, Skye, Nicholas, Julia, Jake, Aidan, Nathaniel, Adrianna and Aleena; his great-great-granddaughter, Wynter; and his loving cousin, Joyce Kozy-King of West Vancouver. Gerry was born in Winnipeg on September 7, 1939 and grew up on his family’s farm in the municipality of Springfield with his older brother, Ralph, and their parents of Austrian/Ukrainian heritage, John and Mary Shott, enjoying their mother’s wonderful cooking and their home life in the country where they were inspired by the steadfast work ethic and generosity of their loving parents, who always welcomed people to their table with open arms. Gerry was married to the love of his life, Suzanne, for 60 years, having celebrated this momentous wedding anniversary last September. Gerry and Suzanne met in 1956 when they were 17 and 15 years old. “Their song” was “Young Love” by Sonny James. They married in 1958, living in a tiny apartment in St. Vital. One of Gerry’s passions and great talents was creating unique home designs and drawing up blueprints to bring his ideas to life. He and Suzanne lived in twenty-four beautiful homes over the years in Winnipeg and British Columbia. They loved spending summers with their three daughters at the lake, initially as a young family staying in the bunkhouse at Suzanne’s parents’ cottage at Gull Lake, Manitoba, where they enjoyed getting together with Madeleine, Bill, and Suzanne’s siblings and families. Gerry and Suzanne later bought a lakefront cabin of their own at Lake Winnipeg, which Gerry turned into a beautiful log cottage featuring a natural rock fireplace, where they spent many wonderful summers with their children and grandchildren, enjoying bonfires on the shore. Gerry was extremely charismatic and friendly, and he enjoyed working as a real estate agent for DelBro and RE/MAX in Winnipeg. In his free time, he enjoyed golfing and fishing. Gerry and Suzanne made the decision to move to BC in 1990, initially residing in White Rock, BC, then moving to Peachland in 1993 and finally to Kelowna in 1996. They loved travelling and vacationed in Mexico every winter, in addition to exploring different parts of the world including Europe, Hawaii and the Caribbean. For their 50th wedding anniversary, they toured Italy on a family trip that generated some very special memories. Gerry and Suzanne also loved going on long adventurous road trips throughout Canada and the United States in their RV, playing “On The Road Again” at the start of every journey. Gerry was a very talented musician, and he loved entertaining family and friends on special occasions with his high-spirited accordion playing. His grandchildren had a lot of fun watching and listening to their Grandpa play the accordion. He spent many years meticulously working in his yard, where he enjoyed taking care of his koi fishpond and planting flowers. Gerry took great pride in his beautiful geraniums which he carefully stored over the winter and returned to the outdoors in the spring to thrive and flower in ever increasing abundance. He also loved gardening and was proud of the huge beefsteak tomatoes he grew. Gerry was a master BBQ chef and many photos were taken of him over the years standing at his grill proudly showing off his perfectly barbecued prime rib roasts, steaks, burgers and chicken. Gerry and Suzanne recently moved into a beautiful 10th floor condo in the Centuria building where he loved sitting on their expansive patio enjoying the breathtaking view overlooking the city and Lake Okanagan. Gerry loved animals, and pets were an important part of his family. Over the years, he spoiled his dogs, Brandy, Gus and Rosie, who we know were all waiting at The Rainbow Bridge with wildly wagging tails, excited to finally see him again. Gerry was truly one of a kind and he will be so missed by everyone. He was a dedicated and accomplished man who lived for his beloved wife and family. They were his pride and joy, and we are so thankful for all that he did for us. We love you dearly, and will hold you in our hearts and memories until we see you again. A private family service has taken place, with a Celebration of Life being planned for this summer in Winnipeg. My sincere condolences to this family on behalf of myself and Lou. Gerry was a loyal client in our barbershop for many years. He shared many a happy story as a very proud family man. This is tragic news knowing how content and happy he was in life. Thank you for sharing more of his life legacy. We will miss him. So sorry to hear of Gerry’s passing. Our thoughts and prayers are with you at this difficult time. We are so sorry to hear of Gerry”s untimely passing. Our thoughts and prayers are with you all. I’m greatly saddened by the passing of Mr. Shott. His daughter Debra and I were best friends throughout high school and spent many hours with her parents. Despite our boisterous and youthful teenage troublemaking, Mr. Shott was always very generous and kind to us (as was his wife Suzanne). I was fortunate to visit with him a few years ago at the home of Joyce Kozy-King and he was still a wonderful, funny many, who loved life. He’d be sorely missed. Dear Deb, Suzanne, Janice, and Kim – My deepest sympathy over the sudden and profound loss of your dear father and husband. He made such a lovely impression when I first met him many years ago; he was so warm and welcoming. I remember his soft demeaner and perpetual smile….as if he were on the verge of telling a joke. Such a kind man. I am so sorry. I wish the accident never happened and he were still here with you.